WATCH: Up to 70 minutes of #LindsaysXC highlights! Close to 2000 athletes savoured the Lindsays National XC experience at Falkirk last Saturday – and now you can re-live the action! We’ve put together a collection of race footage on our You Tube channel – we call it scottishathletics TV – with thanks to our partners from Vinco. Once again drone operators UAS Flight Ops were in Callendar Park to capture the scene from the sky to support our on the ground cameras. There’s a playlist with 11 videos in total; each of the 10 races in short form highlights; and then a package of around 13 minutes which covers the race winners and the atmosphere of the day. Remember, we also have a separate playlist for video interviews with Senior champions Steph Twell and Adam Craig as well as Alastair Hay of Central AC. We’re still working on the final finisher numbers with results provisional at this stage. But we are looking at 719 finishers in the Senior Men’s race as the best figure for 29 years – and the 319 for the Women’s race is a best-ever, the first time over 300 and significantly up on 271 last year. 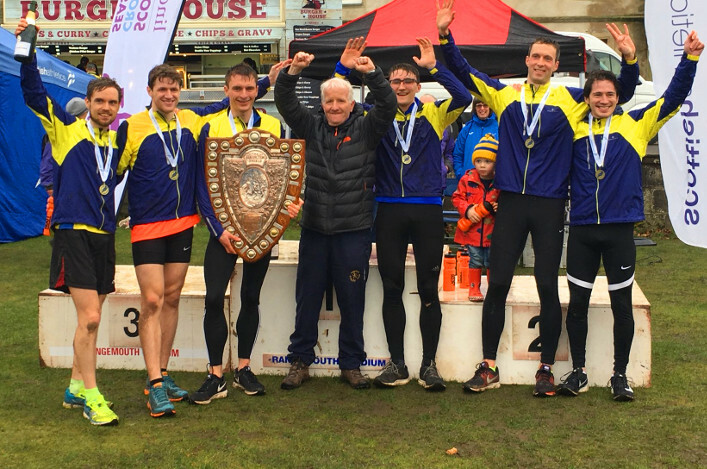 We can now confirm the winners for the Pat Spence Trophy (for female races) and the AT Mays Trophy (for male races). This is a team competition, with the winning club having the lowest aggregate number of points across the five races in each division. 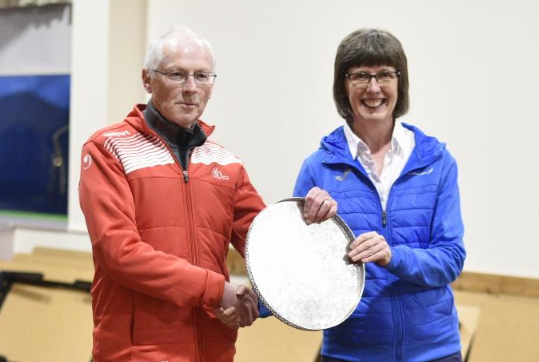 Giffnock North AC retain the Pat Spence Trophy on the female side of the Lindsays National XC while Cambuslang Harriers take the AT Mays Trophy for the sixth time in seven years (with Aberdeen having been the 2018 winners). Well done to both these clubs and their athletes and coaches. #Lindsays National XC diary . . .